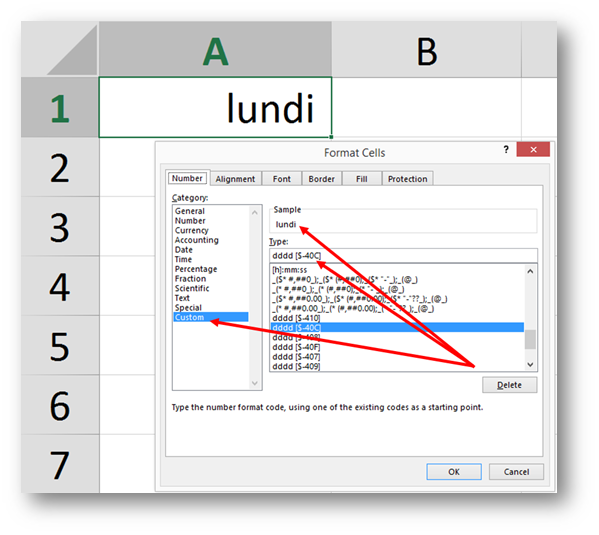 Surprisingly, this is not a post about the Translate feature in Excel. 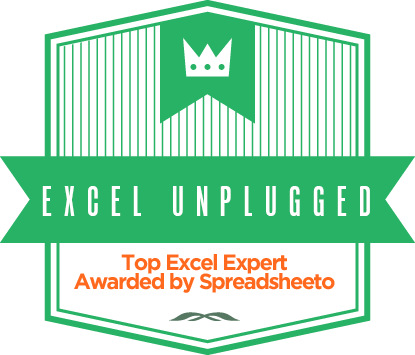 Rather we will take an in depth look into Cell Format and a great feature of Excel that allows you to change the names of days and months into any language you prefer, by using either the Cell Format or the TEXT function in Excel. 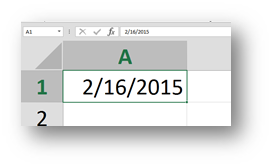 Now one thing that you can do with this date is go to Cell Format either by Ctrl + 1 (one on the alphanumeric part of the keyboard) or by Right Clicking on the cell and selecting Format Cells. 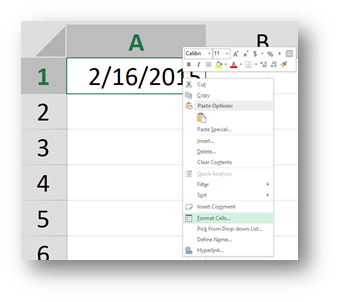 Then in the Format Cells dialog box you choose Custom and in the Type field you write dddd. 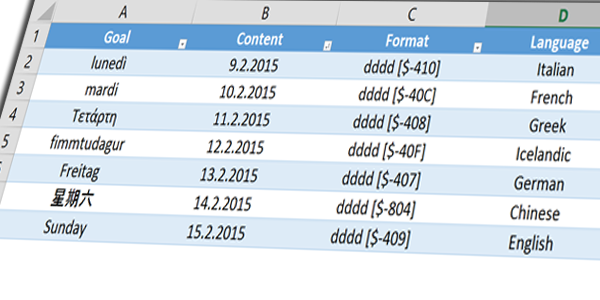 That will format the cell to show only the name of the day on which the date occurred. First, you look up the language you prefer in column one and then search for the LCID Hex Code of that language in the second column. And with this you can let your imagination run wild. But keep in mind, this can also be very useful. 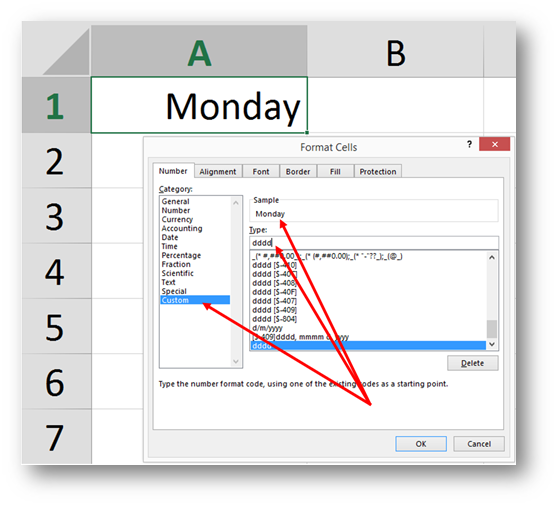 If you only format a cell with dddd, what you get is the name of the day that will vary from Excel to Excel. 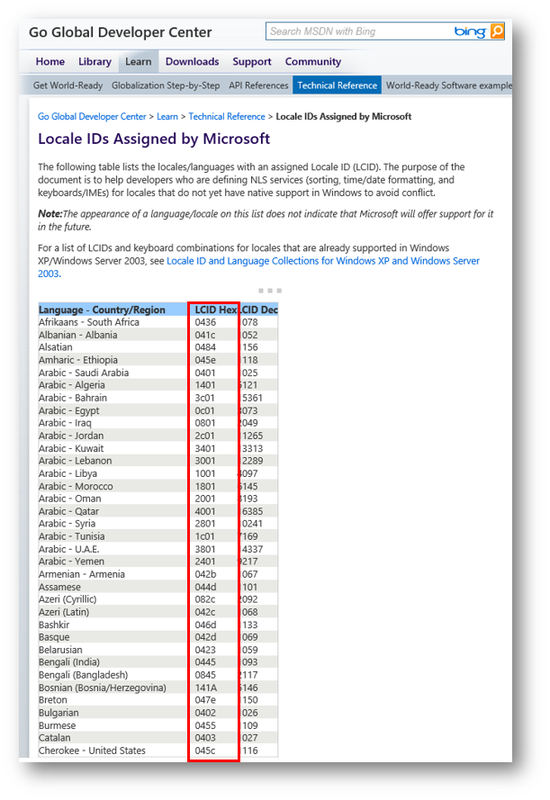 Depending on the regional settings of the host operating system but by using the dddd [$-LCID Hex Code] format, you set the language for all viewers, regardless of the regional settings of their operating systems. 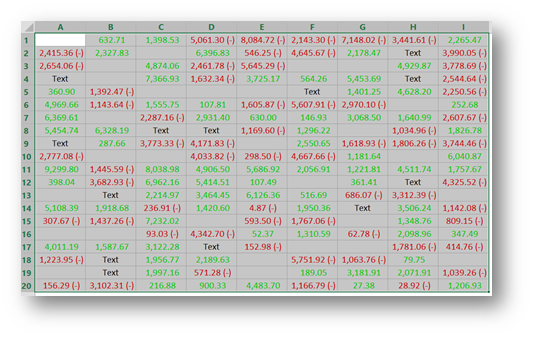 Two other great things come from this, if you replace the dddd with mmmm, or use them together, you can learn the month names in the desired language and both (dddd and mmmm) can be used with one of the greatest Excel functions called TEXT.